Join Santa and his friends on Friday 15th December at Patrick House, Leigh, tickets are just £5 which includes tea with Santa himself and entry to the grotto with a gift to take home! 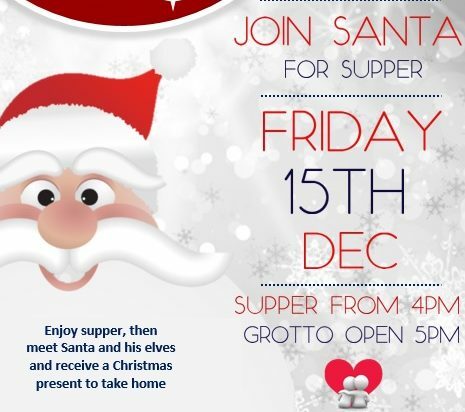 Supper will be served at 4pm and the grotto will then open at 5pm. For more information or to book a place please call 01942 418830 or pop into Patrick house!